During his time here, he produced over 300 paintings and drawings - and it was here that he established the distinct post-impressionist style for which he is known. 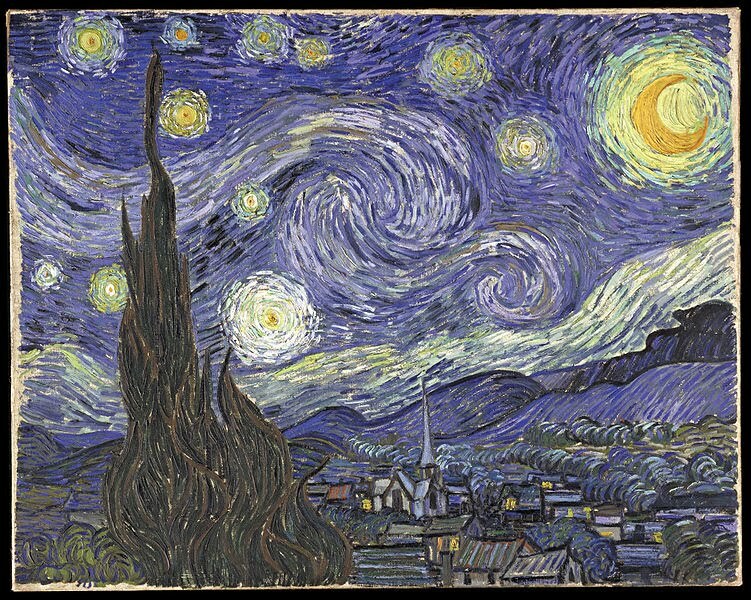 What was it about Arles that attracted Van Gogh? He loved the local landscape and the people who lived there and the vibrant colours produced by the bright Provencal sunlight. 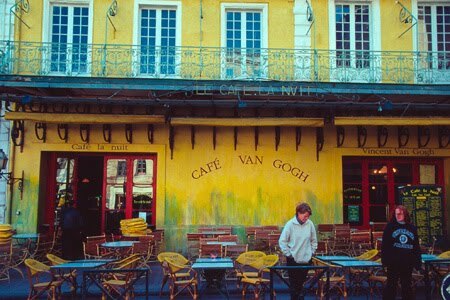 You can visit many sites around Arles which actually inspired Van Gogh. There are 10 easels placed at the same vantage point of his original works. You can get a map at the Tourist Information office showing you where each easel is located -- or you could turn it into a bit of a scavenger hunt and try to find all 12 on your own! You can also visit the Cafe which he frequented. 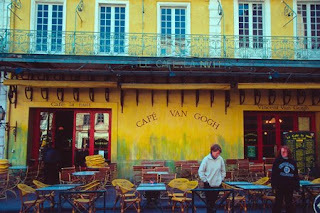 It may be slightly over-priced, but it's worth it to grab a coffee and bask in the atmosphere which drew Van Gogh to the establishment. There's more to Art in Arles than the legacy of Van Gogh, however! The city is also famous for a fantastic international Photography Festival which has run every summer since 1971. The Festival is opening this weekend (Saturday, July 3rd, 2010) and running until mid-September. You can find out more at this website (available in English - click the British Flag at the top of the main page). 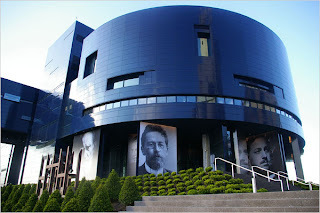 There are also several museums which are worth a visit. The Arles Folk Museum is particularly interesting, providing an insight into the tradiitons and culture of the region. 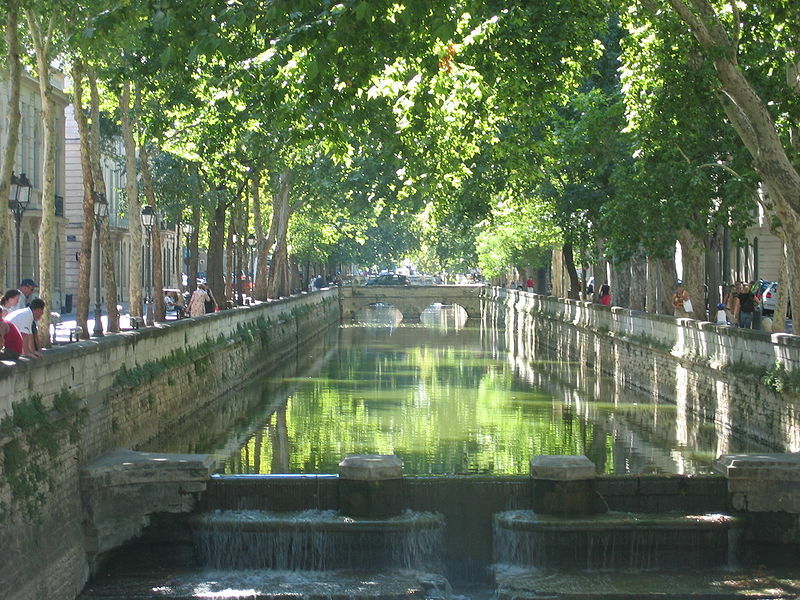 As well as being a cultural centre, Arles is also an important historical city. The Roman architecture is beautiful and many of them have now been World Heritage Listed. In many cases these remains have been well preserved. In fact, even after 2,000 years, the amphitheatre is still in use today! 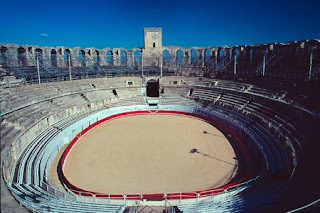 During the summer months it hosts bullfights, and it is open for tours all year. The bullfights are definitely a must-see. They often have Provençal-style bullfights at the arena -- those who are uneasy at the idea of a bullfight might prefer this style. In the Provençal-style, the bull isn't killed. Rather, a team of athletic men attempt to remove a tassle from the bull's horn without getting injured. Home to the greatest wealth of ancient buildings in France, travellers have long flocked to this historic city. Nimes was established as a Roman colony around 28 BC and became one of the most important towns in France, positioned on the route between Italy and Spain. Its prosperity during this period can be witnessed by the many remains of many Roman buildings which can still be visited today. One of the most impressive of the Roman buildings is the elliptical Roman amphitheatre, which looks just like the one in Rome. It was built sometime around the 1st century AD and it is the most well-preserved Roman arena in the country. Back in the days of the Romans, the amphitheatre seated 20,000 blood-thirsty spectators for gladiatorial combats. It is still in use today as an arena for bull fighting and concerts. The UNESCO World Heritage listed 'Pont du Gard' is also a highlight. The bridge has three levels with an aqueduct on the top level. Incredibly, the precise construction of the bridge eliminated the need for the use of mortar at all. The stones were cut to fit together perfectly, despite the fact that some of them weighed up to 6 tons! 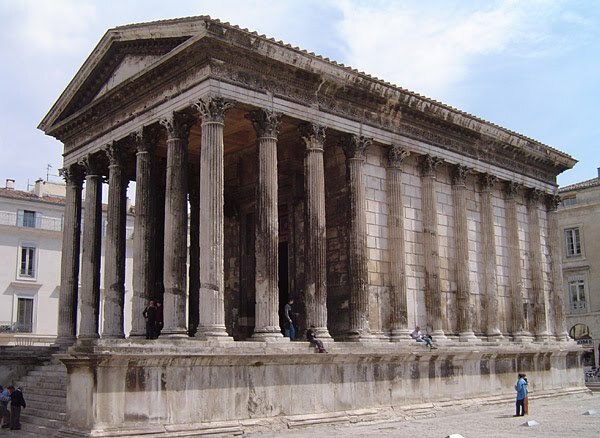 And you can't miss the Maison Carrée (AKA 'Square House'), which is the best-preserved Roman temple anywhere in the world. Yet it's not all ruins and Romans. Whilst preserving its historic splendour, Nimes has become a vibrant and modern city. Friendly competition between nearby Montpellier has sparked a wealth of innovation in Nimes. 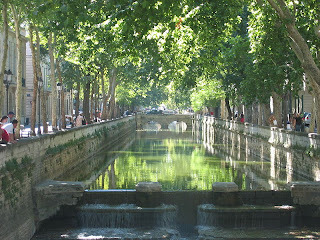 It hopes to be recognised the most dynamic and energetic city in the Languedoc. By enlisting architects such as Jean Nouvel and Philippe Starck, Nimes is well on its way to overtaking Montpellier! If you get an overdose of visiting the monuments and ruins, wandering the streets of the old town in a pleasant pursuit in itself. Stop and have a leisurely coffee at one of the many cafes during your explorations. With 300 days of sunshine, take a seat outside the cafe to bask in the warm sun and people-watch as the pedestrians pass by. The Jardins de la Fontaine ('Gardens of the Fountain') is lovely, too. It is built around the Roman thermal ruins and features fountains, trees, grottoes and a lovely view from the Roman tower. Nimes also has many museums, which you could peruse in the unlikely event of rain! Apart from the Roman ruins, Nimes also has another large claim to fame - it is the home of Denim! 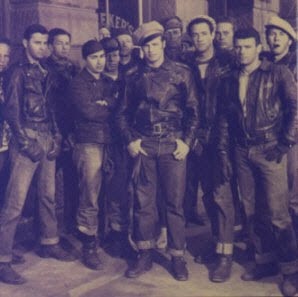 Get it - Denim... De Nimes? The fabric was originally named 'Serge de Nimes', and at some point the 'Serge' was dropped and the name became Anglicised into today's word, 'Denim'. During the 1849 Californian gold rush, Levi Strauss was engaged in the profitable business of manufacturing trousers for miners. 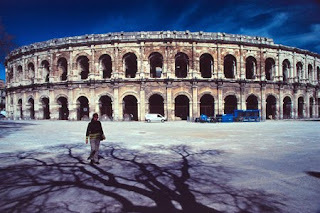 In search of a sturdy fabric which would withstand the tough conditions in the mines, he stumbled upon 'Serge de Nimes'. He began to import it and it became incredibly popular - as I'm sure you're aware of! 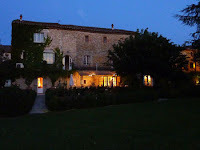 Looking for a nice place to stay near to Nimes? 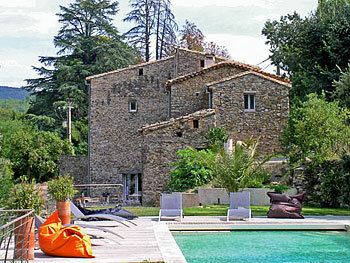 Consider a beautiful villa for your holiday in Southern France! A very spacious hill top village house in the foothills of the Cevennes, near St Hippolyte du Fort, in the Gard. Large private garden with swimming pool. A blend of old stone and contemporary. All rooms and terraces have stunning views. Villa Nadege is an exceptional and quite luxurious country house which has been finished and decorated to an extremely high standard with a large attractive garden, a huge summer kitchen, and a private heated pool measuring 12mx6m. A huge stone-built farm in the Cevennes foothills close to Uzes, sleeping up to 30. Private park with tennis court and pool. This large villa in the Languedoc is ideal for large groups as well as weddings, seminars, family reunions and celebrations. For more of out properties check out our website www.southfrancevillas.com.